One of the easiest ways to be a good citizen is to VOTE. In order to make an educated choice, the more you can learn about each candidate the better. In an effort to provide the community with the most information possible, Lynnhaven River Now has coordinated this upcoming forum. 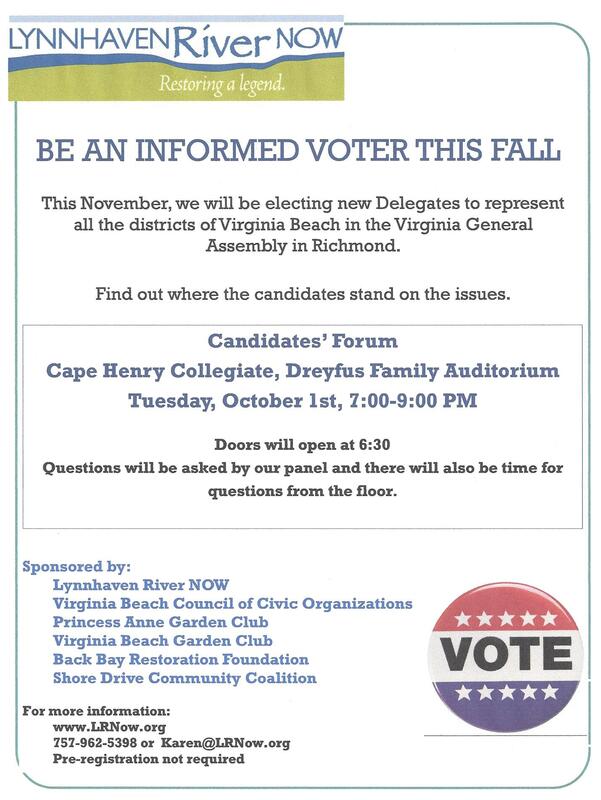 Even though some of the districts are uncontested and you may not live in others, you can still learn about all the candidates. No matter who is elected, you can still help influence the eventual winners to make good decisions once they are elected.